Summary: When Merlin agrees to help a young Druid boy, Daegal, he has no choice but to leave Camelot on a dangerous mission. With the citadel distracted by the visit of the fearsome Sarrum of Amata, it seems that no one will notice his absence. 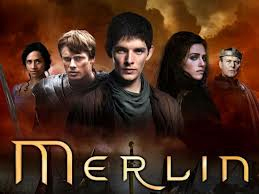 But as the sky darkens, so do Merlin's suspicions - is there more to Daegal than meets the eye? And can a man as ruthless as the Sarrum ever really be trusted? Before long, the young warlock realises he has made a terrible mistake.